As part of the study, a full size model of the aircraft was constructed and was subjected to a rigorous test regime to determine its radar cross section. The model is shown below. The MiD will now set up a dedicated team to deliver the combat air acquisition programme. They will deliver a business case by the end of the year, and have initial conclusions on international partners by next summer – with engagement with potential partners beginning immediately. The UK opening gambit for a multi national combat aircraft project. 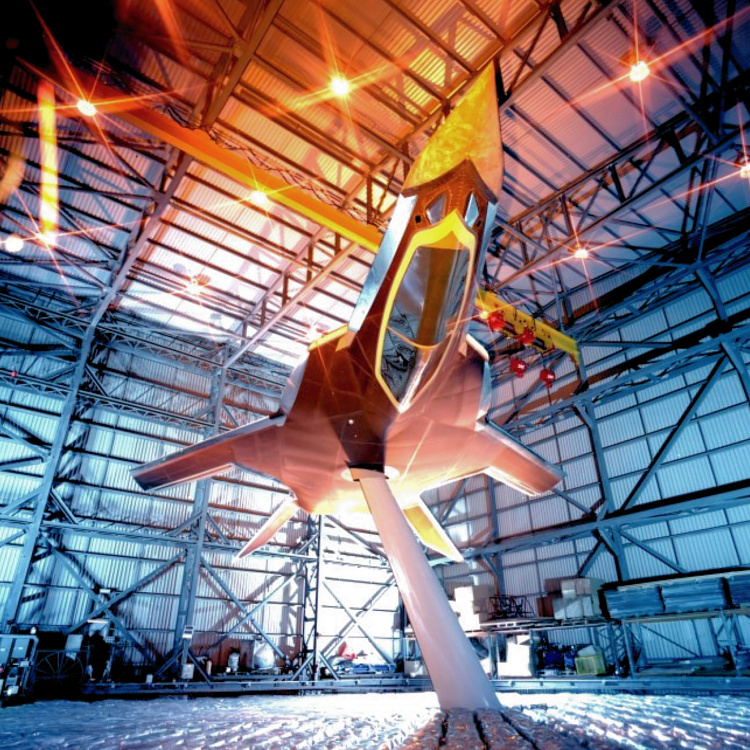 UK aerospace is a world leader regards technology. Sweden and Japan possible partners. The French will demand design leadership which will exclude itself from any project. France already has leadership in an ongoing project. To which ongoing project do you refer to? The Franco-German project (FCAS), with planned IOC in the 2040 decade. OK, I don’t see the UK being a part of that project given the French attitude on design leadership. An that already seem to be behind where Project Tempest currently is. Great! Looks like someone at MoD, BAE etc has been reading the suggestions in this forum (or great minds think alike:). Let’s try to get a prototype going quickly as mentioned on the statement. Use as much as possible existing tech and component re-use from typhoon with new airframe & skin and then iterate to a proven design. We can then partner up with whomever we want Sweden, Japan, Canada and even Germany and France. Please god not France and Germany…. You don’t want France or Germany and it’s for opposite reasons. French are greedy for tech and leadership share. They care greatly about industrial reasons too, but because they have decent tech, they can front the idea that it’s about making a better plane, and to be fair the french can make a much better plane than the germans. the germans on the other hand are all about politics/economics and industrial share. they’ll cut short any order to a mathematical degree to ensure the most dollar per worker. Marcus is right. Dassault was given leadership of the new Franco-German project just recently. Neither Dassault nor Airbus has any significant experience of LO technologies, so theirs will be a difficult path. Expect Germany to flip flop. Certain UK environment are so absorbed by Brexit and by the idea of returning at last an island that mistake nationality. Leonardo, even if it’s a multinational conglomerate, is an Italian firm, not an English one. Difficult to make out from the photos, but looks a lot like the Mitsubishi X-2 Shinshin. But double nose landing gear? Carrier capable? I don’t think it looks much like the x-2. For a start the X-2 had tailplanes and a standard delta style wing. 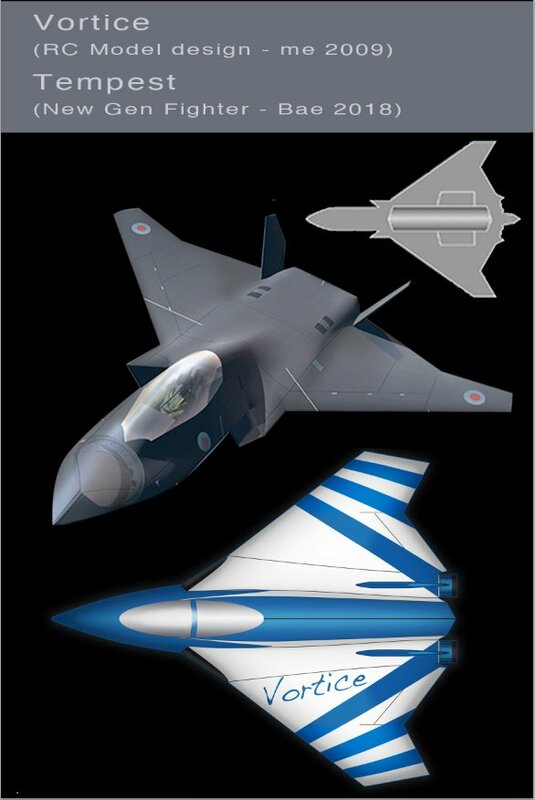 I now see, the second render imagine with the F35 and typhoon didn’t show when I loadd the page first. Agree, but your getting wing type mixed. Tempest looks like a delta wing. Tempest has an advanced delta form (It is not a pure triangle as the wing extends back from the inside trailing edge) The X-2 is just a plain clipped triangle shape. Agree, its an advanced delta with the trailing edge closer to those found on stealthy flying wing designs. Delta wing should give high manoeuvrability. The double noes wheels mean nothing. The Grippen has double nose wheels and that was not carrier designed. Cats will always be needed for non VSTOL. The thrust will need to be immense to compete with the weapon and fuel load of a cat launch. Look at the Russians. They use non cat launched takeoff with a pretty high thrust the weight ration and they are pretty much useless (Despite what putin says). This is much more like the confidence and investment in our industries I have been wanting to see. Exciting stuff and proud we are finally doing it ourselves. Let’s hope they come up with something great. And they send about £4.5 Bn back. So we will save around £8.5 Bn. Not to be sniffed at but also not £13 Bn. A naval option could be called the Sea Fury. Better than them getting leadership, stealing a good slice of our share of the work, and running off with our technology……. The French did exactly that with the Eurofighter. They stayed in the project until it was clear no one else wanted a carrier fighter and so they took their knowledge, plans and data and went and built the Rafale. nEUROn and Taranis are clearly distinct project with distinct purposes. That’s why FCAS-DP is dead since UK favours an ISR oriented platform, unlike France who puts an emphasis on weapon delivery (nEUROn has a weapon bay). UK was not involved in nEUROn development, not France was in Taranis. Why are British people so salty on French aerospace developments? Because they left the Typhoon program and are now preaching European solidarity, while aiming to muscle the UK out. I’ve just noticed the lack of movable control surfaces on the model and graphic. I wonder if the magma research will be in play here? Well spotted! I was wondering if that would be applied but, and I know not a lot about this, wouldn’t that also mean it could get rid of the vertical stab? We really do seem to have top class equipment, if only we would fund to buy more of it! Vertical stabilisers look small so indications are their would need to be some form of additional stabilising control to maintain high AoT. Thrust vectoring and/or blown air controls. On the Magma prototype their were small vert stabs, but the goal is to remove them. Perhaps as the research evolves the vert stabs will go. I hope so for the sake of its stealth characteristics; vertical stabiliser alternatives look like they are going to be important in the future. I be surprise if it wasn’t. There got to be a reason BAE have pursue this technology for well over a decade in various programs and drone prototypes. Not only should it lead to better stealth profile. It cut weight of the aircraft and should in theory allow far greater maneuverability. I also wondering if this could be a chance to incorporate Reaction Engine pre coolers into a jet engine, which should lead to pretty radical efficiency savings. Fascinating article. Thank you. Now we need to talk too the Swedes and Japanese. One point. It needs to be carrier capable. Not just for commonalities sake but for volumes sake. The more of anything you buy the lower the unit price. Unless we’re going to do the same as with helicopters. Chinook for RAF and Merlin for RN. Tempest for RAF and Lightning 2 for RN ? The likely buyers do not have plans for carriers that could take this though… Plus it adds weight to the aircraft. The production contract for the first Japanese KC-46 was signed in 2017. Back in the early 2000s Lockheed Martin proposed a fighter bomber version of the F22 and it was called FB22. The proposal was ditched in 2006. From what I can see Tempest looks similar to the FB22 in layout. The F22 has tail planes and a very different wing. Interesting I always thought the delta was old hat post 4th Gen fighters it seems it maybe just took a break for a bit. While I applaud the idea, it looks pretty ugly to me. Can’t see the point of spending huge sums on a navalised version as the potential customers are too few. Better to buy from the US to fill our carriers. Great ambition if we follow it through. Excellent news, I do wonder if sweden join the program. France and Germany have signed a deal to develop a fighter, behind the curve again. How exactly is France and Germany behind the curve, since partners and leadership have already been indentified, and industrials (namely Dassault) have been working on early design studies since quite a long time now? Similarly, how is France behind the curve since it has arguably more autonomous combat aircraft development experience in the past couple of decades than UK who has been exclusively working as one of many partners in JSF and Eurofighter programmes? The French lack expertise in several areas involving the development of a fifth generation aircraft. Those areas include stealth, software development, sensors, powerplant technology and so on. If they wish to develop such an aircraft it’s going to a long time and be very expensive, the UK on the other hand does have such expertise. I disagree, France lacks key capabilities in many areas as I have already stated. Time and money will prevent France from developing a fifth generation aircraft. The UK currently has a factory producing stealth aerostructures for a 5th gen aircraft already in service. It has also independently created a stealth UCAV more recently and the Replica project nearly 20 years ago. I personally hold the French aerospace industry in very high regard and Dassault is an inspiring company, but their experience in stealth is just not comparable. And I didn’t mention naval aviation. Combat aircraft navalization is not a trivial task..! But I see you’re making the argument turn in circle. I can make unsupported assertions too. But let’s see how it comes out. Who are you referring to with in your last comment? You, saying “as I said/as I have already stated”. (can’t reply to that specific comment). Stating is a thing, but the reality casts a different light. Sensors? Rafale is the only European combat aircraft to feature full sensor fusion and not mere correlation. Thales is a lead actor in sensor development and integration. Stealth? Rafale sports limited RCS reduction redesign (Typhoon featuring none), ONERA and Dassault keep performing fundamental research and experiments. Powerplant? SNECMA/Safran has it covered. Sofware development? Not sure what you mention here. Where UK holds cards, France does too, sometimes with better expertise, sometimes with less. Then we just have to disagree then, not sure what your naval aviation comment is about as I did not mention it. If France wishes to develop a 5th generation aircraft it’s going many tens of billions of euros and around 20 years, I cannot see any progress to date apart from talk. Also the f136 engine (competitor for the PW F135) was in development by Rolls and GE. Its was killed off a few years back but Rolls will have gained a lot of data and know how from the program. Well thats odd…because every informed source seems to believe the Typhoon has a much smaller RCS than Rafale. Rudeboy: funny, my sources say otherwise, and Rafale features typical RCS reduction measures that are yet to be found on Typhoon (canard/wing edge alignement, sawtooth panels, S-duct and fixed intake, plus the redesigned fuselage shape and curves). But let’s trust your Mk.1 RCS-eye-o-meter! Not even gonna comment on the “second tier” statement. Typical British bad faith and saltiness. That’s really a shame, you don’t honour your own country and its great aerospace industry. Mike i am not sure on which project will be better whether the UK one or france German one as both have just begun but I can assure you that the rafale is much better than the typhoon. The Swiss military all the exercises where typhoon was defeated 7-1 and a complete assessment by the Indian air force over 630 parameters put the rafale as the winner. I feel that you are just underestimating France to much. I am not sure about the upcoming projects of both the countries but I can with with confidence tell you that the rafale is a much better fighter than the typhoon. The Swiss military says that. The Indian military conducted an assessment of the both the jets and over 630 parameters and the rafale won the rafale has been more successful in operations conducted by NATO. The exercises show that rafale is better defeating typhoon 7-1. I think you are simply underestimating France to much. I don’t no about the upcoming projects of both the countries but i can confidently say that raffle is a much better aircraft than typhoon. the Swiss military report proves that Indian military report proves that(they had conducted tests over 630 parameters). the air exersices prove that. typhoon lost 7-1 and many other cases. the raffle has also performed significantly better than the typhoon on nato operations. i think you are underestimating the french to much. Ryan, Leon, radbrad and bob above … Can the site investigate? It’s not just you Chris. i am really sorry Chris and everyone else. that was my little brother’s work copy pasting it again and again. since they don’t ask the account password he did it easily. i shall teach him a lesson. anyway i am no agent just a well wisher of Britain. And your dog always ate your homework, yes ? Ive just watched a report on this on the news,the gist of the report was that while it is an ambitious and forward looking project it looks unaffordable and unrealistic looking into the future – the main point being finance. The UK will not be going it alone, its pretty much guaranteed we will be working with Sweden and Japan, possibly Turkey and Canada if they want to get on board and if everyone can agree on requirements. The WW2 Hawker Tempest was a development of the same company’s Typhoon, so it is rather appropriate to call Typhoon’s proposed successor Tempest. I didn’t think of that, nice spot. Nice to know whoever is in the naming department has a sense of history. … and of course the Fury was the ultimate development of that line and in particular a substantial re-design of the Tempest to save weight and size and up performance, so it is clear that they are already thinking of what an updated ultimate version would be called. The original family went: Tornado/Typhoon- Tempest – Fury/SeaFury. Very neatly sorted. Bagging “Tempest” for the name of this fighter is shrewd marketing, as it tells everyone that it is the natural successor to the existing Typhoon and not the proposed Franco-German fighter. Should make it an easier sell to those operating the Typhoon. As for partnerships, I’d choose countries who could manufacture and sell in their own region; eg Australia or Japan for Far East sales, etc. Sean Yes, not sure if BEA systems own the names via Hawker, or the MOD owns the names. It makes sense Hurricane, Typhoon and Tempest. Tempest was something it took on the ME 262 and won, whilst the Fury took on Mig 15’s with get effect. The new tempest has a lot to live up to. I mean, this is huge, when was the last time we built our own aircraft? We’ve been leaders for a century and built some of the most iconic and advanced aircraft but that ended with the harrier, after that it was all collaborative projects. Really liking this new defense strategy looking towards creating and exporting equipment. It’s honestly unusual foward thinking and long term planning that I never thought I would see from a British government. People tend to forget that BAE systems and the British defence industry as a whole (Rolls Royce etc) played a huge part in the development of the F35. I am firmly in the belief that British defence industry can create a credible next gen aircraft by the 2030s especially if international partners with their highly credible defence industries are brought on board (Sweden and Saab, Japan and Mitsubishi etc). Japan will never join, they’ve got their own next gen jet in the works. Sweden and Saab however are a very real possibility and I can definitely see them joining. Saab as far as I’m aware have no next gen jet in the works and this will give them a foot in and Sweden will get a next gen jet that I assume they will have a small hand in producing. Them not being a part of the EU also future proofs the project from the EU trying to interfere to harm British industry. Um, Sweden is part of the EU. Godammit, I got confused between Sweden and Norway XD. Ah well, last point is mute but Sweden and Saab are still the best option. Sweden look the best bet – and why would their membership of the EU get in the way of the project: any evidence that this has happened in the past? That siad, we will be competing with the US and France/Germany on this one. Is it a genuine project though? Even with Italy and Sweden it will be expensive and with GDP lower post-Brexit, harder to justify the expense? Will it be as good as the F22 and F35? Why don’t we just invest in mor eof the latter? Japan recently shelved their own ‘next gen’ fighter. The X-2 tech demonstrator is as far as it went. This will only go ahead and develop into an operational aircraft if we can fnd international partners. The UK cannot afford to do it by ourselves. It maintains our capability to design and develop modern combat aircraft and not much else for the time being. In much the same way EAP was the forerunner of Typhoon. Let’s not get to carried away. And what sort of production run would be required to make this aircraft a commercial success? Just imagine the ongoing costs of software development required. F35 will probably see a production run in excess of 4000. We can afford to give £14bn. away in foreign aid every single year though, right? OK, I admit I was short sighted in a comment I posted on another article yesterday. This is very exciting and positive news. I’m really happy to see the UK getting back into the high-end fighter game with such a leadership role and with such a great lineup of companies in the team. Full steam ahead I hope but, without taking anything away from this, I do hope we might see a similar initiative to create one or more world-beating British medium-sized drones as well. I agree with Chris here. People bang on about the Japanese so much but they are almost an extension of the US, who will undoubtedly be looking at making their own 6th generation fighter for the likes of Japan and South Korea. And EE Lightning vs F104. Ugh. I remember too going to a talk by Barnes Wallis who said the F111 would be a failure because it needed a tail fin. Now I’ve waiting for somebody to reuse the ‘Mosquito’ name. Walks away humming the tune of 633 sqn. The Spitfire was originally to be called the Shrew if Mitchell had had his way, lets hope no one revises that idea. Perhaps ‘Mosquito’ for the UCAV….. Here is the video of the official launch. Rumour is that Remainer elements ‘asked’ Airbus to put out a Press release regarding pulling out of UK. I am sure FIFA will allow us a second go at playing Croatia …. US will be selling F-35s, Russians will make a degraded export version of Su-57, Chinese will sell J-31 and maybe a J-20 in future. Not beginning full development at the end of 90s of a genuine gen-5 was downright criminal. Yes Typhoon sold well to Arabs, but game is moving on. They been cutting defence budget for 2 decades. And now huge money for a gen-5? I doubt they have funds to design, develop, complete, induct, produce and operate a gen-5. They are INSANELY late to the gen-5 party. Hi Chris, with respect I disagree, we will need advanced technological and financially solvent countries to take part in this to stand any chance of getting wind under the Tempest’s wings. Low wing loading and a slight lifting body shape. (Chris H) john Clark – And you really think Japan would buy a non-US fighter? They haven’t bough one since WWII. And if that doubtful scenario came about they would demand they build it themselves. But you seem unworried by the potential loss of advanced technical data funded by British taxpayers bleeding through the Japanese to the Americans? What is the oddest name given to RAF aircraft? Just like Boeing vs Bombardier, Lockheed and Boeing could very well pressure Washington DC to squash this program. It would be a good idea to get one of them on board as a partner. I’m guessing the Tempest is an Interceptor / Air Superiority Fighter, so more competition with the F22 (can’t be exported) rather than the First Strike / Ground Attack F35. I would imagine there are a few pacifistic countries (Europe) who would rather have a defensive (Tempest) fighter than an offensive (F35) one. forgot to say, it also appears to have fixed inlet design, so its safe to say sub Mach 2. The EJ200 will be perfect for the technology demonstrator, perhaps a reworked and updated EJ200 could form the basis of the production Tempests power plant. It would certainly help to de risk and keep costs down. Fingers crossed we see a quick step up in the performance capability of Typhoon and in increased numbers, complimented by Taranis before the introduction of Tempest. Thrust vectoring was around in 2010 so the introduction of the EJ230 should be the perfect fit across all tranches. Here is an interesting link. Not too far off the latest Tempest in design! (Chris H) Nigel – You beat me to it …..Its a quite uncanny resemblance although I guess stealth limits the variation in shapes? Chris, I’d say it was a pretty good starting point! About time we invested in our own Aircraft this looks brilliant….true independence . I’ll believe it is a possiblity when the £2 bn actually appears. My cynicism seems justified. The £2bn is to be provided by 2025. There is more chance of Pinewood Studios producing a flying X-wing Star Wars fighter than there is of the UK plc producing this. This is all a big PR exercise designed to make May look good on defence. Pathetic. 2 billion over 10 years (200m a year) is not going to produce an aircraft. The only two people pretending that are May & Williamson. Even the RAF guys at the event say this is just to develop some technologies, not an aircraft. But to listen to Wlliamson, you’d think it was ready to fly tomorrow. You clearly are not aware that the 2 billion over 10 years also has to cover Typhoon upgrades such as 15% more powerful engines, cockpit upgrades, improved connectivity, and lower RCS. So after taking out the Typhoon specific stuff, how much of the 200m a year is going toward building a new fighter? Is this anything to do with BAE’s recent announcement of their intentions to develop a fighter aircraft with Sweden and Turkey? Looks like the YF-23 Black Widow 2 to me…..? I heard it can be flown unmanned, is there truth to this? Also, what does this mean for the future of Taranis/nEUROn? Its good that they put “affordable” and “capable “on the poster, I’m also glad they put one of those diagrams with dotted lines going to tanks, satellites and other aircraft. Sceptical TBH, I just don’t see us footing the bill when costs start to be counted in how many NHS hospitals it is. You can get a cracking 400 bed acute hospital for 200million, unless you PFI it then you will be paying out the nose for a couple of decades……. Yes but the NHS actually screws down the cost by contract managing each trust, I’m not a fan of the internal market as it has impacted on integration and strategic planning, but if your main aim is screwing down on in year costs it works….. The potential problem with collaborating with Sweden is that they are more cost conscious than we are. Saab aircraft have some of the lowest costs per hour of any 4th generation model. Contrast this to F35 which has some of the highest. This is not a criticism of F35, but it may be that the Swedes sacrifice some functionality in pursuit of lower costs and it might be difficult to reach a design consensus on that basis. That may be a good discipline for us, better to get the numbers we need than half the numbers with bells on. Fantastic PR move. But there’s only one hitch. The UK has neither the means nor the will to fund this program. And if it thinks that private companies will do so, then they need a reality check. I think that’s two hitches mate. Qaher 313 copy, the Iranians built their model years ago, are flight testing it and apparently it’s just about to enter sevice. Just imagine how much they will have achieved by the time the Tempest is developed and at a tiny fraction of the cost . Sorry no edit function. Meteor costs just £2m. The way to go is situational capability from distance and volumes and the Gripen is perfect for this. It also has a high UK content and I am sure we could work with the swedes to improve further. Personally I think F35 controlling 2-4 Taranis is really the way to go..
I’m not sure it’s that overrated. With S-500 (much vaunted but optimised for missile defence btw) having an admittedly guessed low observable detection range of potentially <30km, that leaves a pretty small bubble for an aircraft to avoid, or require a lot of units to deny an area. I knew the Tempest reminded me of something and until this morning I couldn’t think why. This is an RC model design I penned around 2009 when I was working in that business.